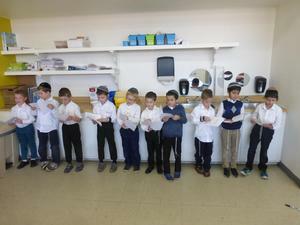 Today, Torah Days School’s venerable first graders took shared responsibility for the upkeep of the entire universe. Sounds big? It is. Are they intimidated by it? Certainly not. What is this daunting task with which such young boys have been entrusted? It is the study of Chumash, the fuel of the world, the spark that powers everything. Torah learners are partners with Hashem in the upkeep of the world, and now our boys have a share in this. We daven that, with the help of Hashem, their small shoulders will have the breadth and strength to carry this awesome burden. True, it is a great responsibility; but it is an even greater privilege. And the boys know it. 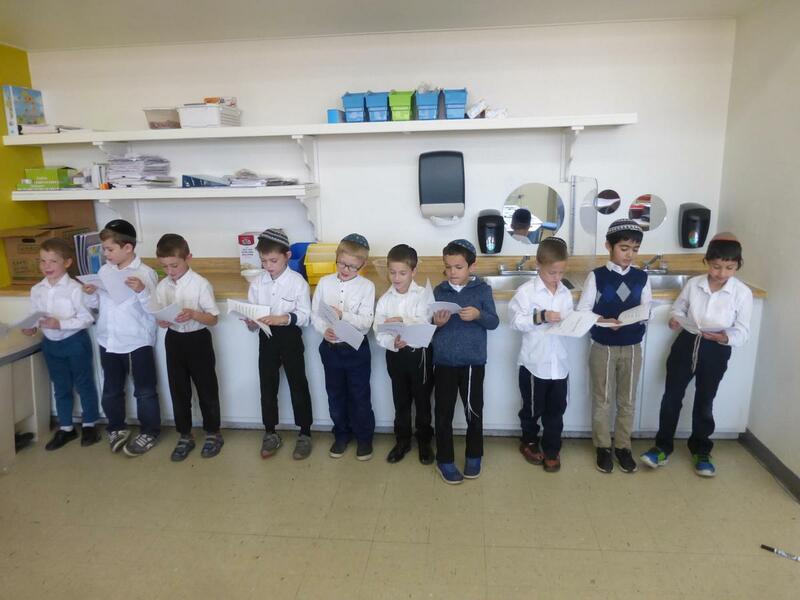 We wish these budding talmidei chachomim much hatzlacha and continued growth in Torah and yiras shamayim.